There are many skills required to be a good chef. Among them, knife skills reign supreme. Mastery of cutting, chopping, and slicing techniques is critical to success as a chef in most commercial kitchens. Not only will these skills help you prepare food faster and better, they’re also very visual, meaning your colleagues and coworkers will be able to measure up your skills with a casual glance. Your culinary student knife set is an important first step on your journey to mastering knife skills. This first foray into the world of professional knives will give you a chance to experience quality tools so that you can learn proper techniques the right way. This affordable set is a great way to start off your culinary journey with the tools used by the very best. If you’d like to pick up an abundance of kitchen tools and a core set of five knives at the same time, this is a good option. As far as feel, balance and durability goes, this knife set is a great fit for both professional and home kitchens. What Knives Do I Need For Culinary School? There are many different culinary schools around the world that offer different courses in different subjects. The school, classes, and instructors you have may have specific requirements as far as knives go. If you’re taking a few classes to learn how to bake, for example, you may not need any knives at all, while completing a certificate at another school might require you to have several specific types of knives. Be sure to contact your actual school and your instructors to find out the kinds of knives that you’ll need. That said, there are a few general knives (and tools) that you need to be successful as a chef. In most cases, you can get away with getting a set of these tools. The core basics include a chef’s knife, a paring knife, a bread knife, a utility knife, a boning knife, and a honing steel. As long as you have these covered you’ll probably be okay. It’s worth noting that the sharpness of your knives matters quite a lot. There’s a world of difference between a freshly honed knife and a dull, old blade with a damaged edge. You won’t be able to perform many cutting techniques properly with a dull knife. You’ll also be more likely to injure yourself since dull knives require more force from you and are therefore more likely to slip suddenly and pierce your flesh. This means you’ll have to put in some work yourself. High-quality professional knives aren’t like cheap steak knives or forever-sharp Cutco knives. They require regular sharpening and maintenance. It’s very important that you buy a honing steel that’s hard enough for the knives that you own and that you use it properly and regularly. You’ll also find it helpful to sharpen your knives with actual stones every once in a while. You can either do this with a sharpening kit, your own set of whetstones, or simply by paying a local professional a few dollars to sharpen your knives. Most professional chefs will tell you that how you sharpen and care for your knives is much more important than the exact set that you buy. Does this mean that all knife sets are the same? No. You’ll find that there’s a lot of variance between how easy a knife set is to maintain, how comfortable it is to use, and how well it holds an edge. You’ll also notice that there’s even more variance between how much certain knife sets cost. In order to help you find the best set of knives for culinary school, here are the knife sets that give you the most for your money. Victorinox is a Swiss brand that’s most famous for its distinctive red multi-tools. In the culinary world, however, it’s known for something else entirely. Victorinox makes fantastically fine professional cutlery at incredibly affordable prices. While home cooks often shell out for pricier knives with slightly “nicer” features, there’s a very good chance that some of the cooks in your favorite local restaurants use Victorinox blades. There are a few reasons for this. 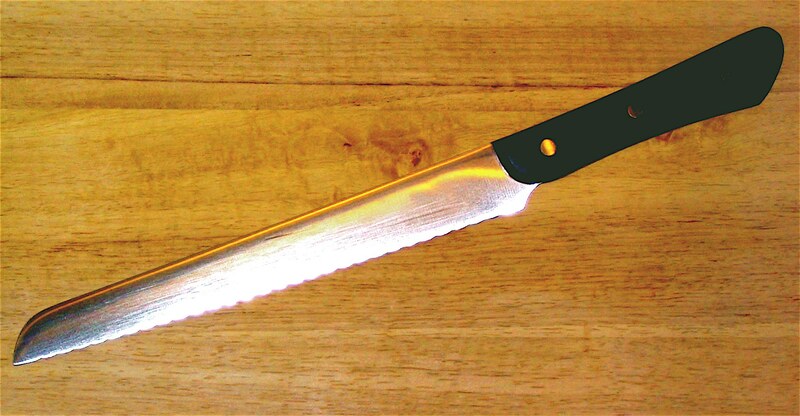 The first is that manufacturers of nicer knives have a habit of putting fine polished wooden handles on their blades. These handles often don’t meet NSF certification, meaning they’re unsuited for use in professional kitchens. They’re still great to use at home, of course, but it’s more difficult to fully sanitize the wood than it is to sanitize a material like Fibrox. This means that many of my favorite knives simply can’t hack it in a professional kitchen, since they’re not properly certified for commercial use. Victorinox does not make this mistake. Their knives are available with multiple handle styles, including a sanitary synthetic material called Fibrox. This means that you’re free to use these high-quality knives at work. Some chefs also prefer the soft, grippier nature of synthetic handles, especially when they’re using their knives for many hours a day, but this is definitely a preference thing. The second big reason is quality. The Victorinox blades are made from high-carbon stainless steel. This makes them easy to care for, difficult to damage, and very good at retaining an edge. You don’t have to hone these knives super often to keep their edges extremely sharp. When you do sharpen them, they’ll be able to literally slice hairs. Victorinox backs up their knives with a limited lifetime warranty against manufacturer defects, which means there’s a decent chance they’ll pay for a replacement should one of your knives break. Many knife enthusiasts may point out that this particular line of knives is stamped, not forged. This means that the metal that makes up each knife was literally cut out of a solid block before it was placed in the knife and sharpened. 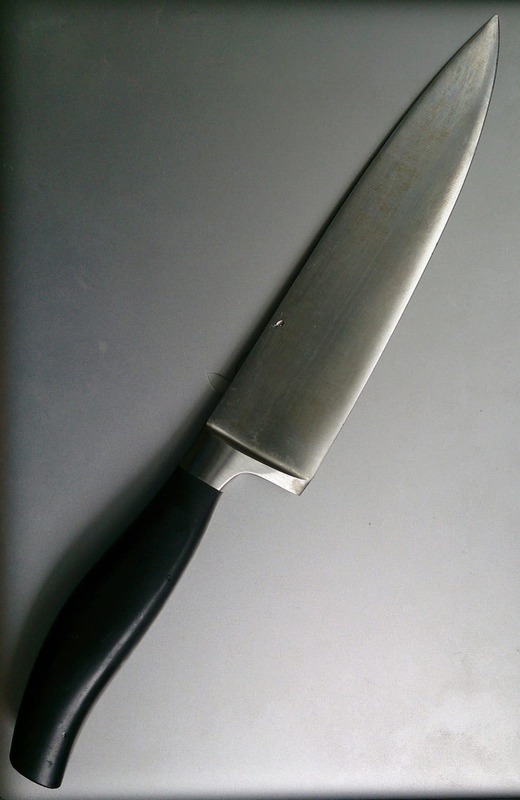 The knives also lack a full tang, meaning the metal from the blade doesn’t extend all the way to the end of the handle. Both of these features tend to signal a higher quality knife: a forged knife with a full tang tends to be a bit nicer to use than a stamped knife without. Nevertheless, I maintain that this knife set is absolutely excellent, especially for a starter set. Over time, you might find that you prefer the balance of a full-tang knife or the thickness of a forged blade. For now, however, you really won’t be missing out on much by choosing this Victorinox set. You’re getting the same quality metal in pretty much the same shape. The only real difference is how thick the spine of each knife is and how heavy the handle is. In the meantime, you’ll save a whole lot of money while you experiment with cutting techniques and learn what features are actually important to you in your knives. As you might have guessed, the third big reason why chefs choose Victorinox is the price. These knives are not terribly expensive. You get a very high-quality chef’s knife, utility knife, bread knife, paring knife, and a honing steel with this particular set, as well as a knife roll that you can use as a bag to store your knives in. Knives get lost or stolen at culinary school very frequently. While you’ll certainly hate losing this set of quality tools, it won’t hurt as bad as losing a much more expensive set of Shuns. Victorinox has been a favorite of culinary professionals for many years. This affordable knife roll is a great way to start off your culinary journey with the tools used by the very best. While it’ll last for many, many years with proper care, the low price gives you plenty of room for upgrading the knives you use the most when the time comes. One final note: this particular knife set is available in a couple of sizes, including much larger sets with many more kitchen gadgets. If that sounds like the sort of thing that you want, be sure to check out the other options! 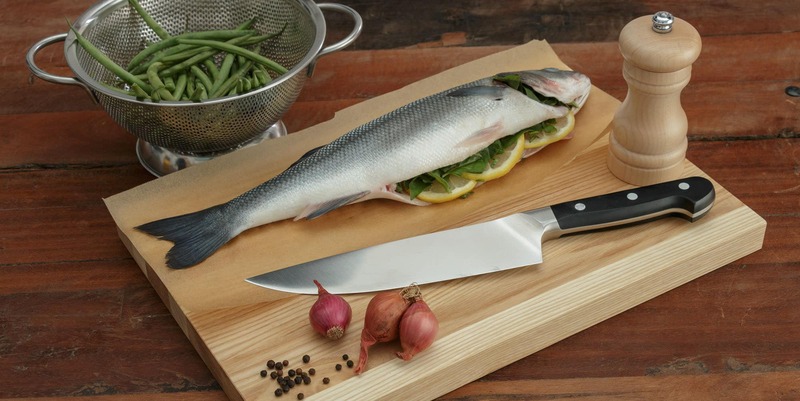 Mercer Culinary specializes in making midrange knives that are perfect for young professionals and culinary students. These stamped carbon-steel knives are stain resistant and have comfortable synthetic handles that pass NSF certification. The set comes with a handy knife roll for carrying all of your tools and a plethora of non-knife pieces that you’ll find helpful in the kitchen. So why isn’t this set our top pick? For starters, it’s a 23 piece set with 5 knives. This means that you’re paying for 18 kitchen gizmos in addition to the set of core tools that you’re actually looking for. You’ll get some use out of a thermometer, a ruler, a fork, a spatula, a peeler, a pastry bag, a handful of pastry tips, and a pair of melon ballers, sure, but they’re definitely things that you can buy on their own. Yes, it’s convenient to get all of these things in one place, but you’ll probably need to purchase additional accessories (like whetstones) separately anyway. As far as the knives themselves go, there’s very little to complain about. The blades are made of high-quality Japanese carbon steel that’s quite easy to care for. They hold an edge quite well, especially when you maintain them with the included honing steel. Just like the Victorinox set above, these knives will carry you through many years of professional cooking before you need to upgrade or replace them. If you’d like to pick up an abundance of kitchen tools and a core set of five knives at the same time, this Mercer knife set is a good option. Do be sure to briefly consider the price of buying the gizmos individually, however, as it might be a better idea to get a cheaper knife roll with fewer gizmos or even pick up a comparably priced set with no gizmos and better knives. There are few names that carry more weight in the knife world than Wusthof. This venerable German brand has a legacy of quality and performance that stretches back many centuries. If you’re not satisfied with the lack of forged blades in other culinary school knife kits, this Wusthof knife roll is what you’re looking for. Featuring four incredibly high-quality forged knives, a carrying case, a steel, a peeler, a zester, and kitchen shears, it’s got everything you need to get started in the kitchen in style. So how do these knives differ from the options above? The first big difference is construction. These knives are forged instead of stamped, which means that the spine of the knife is thicker and the tip is thinner than a stamped knife. This makes the knives slightly heavier overall but also more durable and nicer looking. Forged knives are more expensive due to the fact that they’re harder and more labor intensive to make. The second difference is branding. Wusthof is a luxury brand, meaning that these knives will attract some amount of attention from friends and foes alike. Wusthof knives are also known to be very durable and high quality. Their quality assurance and customer service departments work hand in hand to ensure that the brand’s multi-century reputation doesn’t get ruined by a bad batch of knives getting posted to social media. This means you can be quite confident in your Wusthof knives lasting for many years. 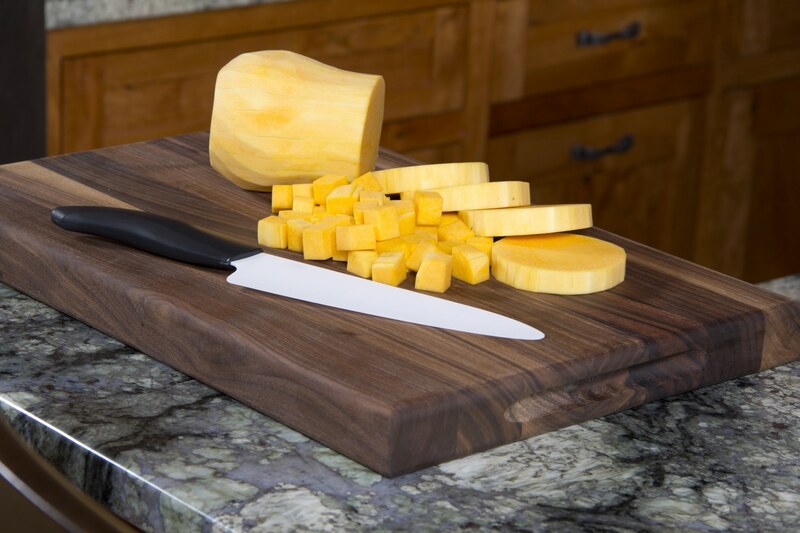 The textured synthetic handles of this knife set mean that it’s a great fit for both professional and home kitchens. 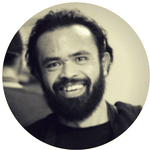 The knives themselves are comfortable, hold an edge very well, and extremely well balanced. They’re also quite attractive, especially with the Wusthof logos featured prominently on the blades and carrying case. As far as pure steel goes, these knives aren’t a huge upgrade over the Victorinox or Mercer sets above. 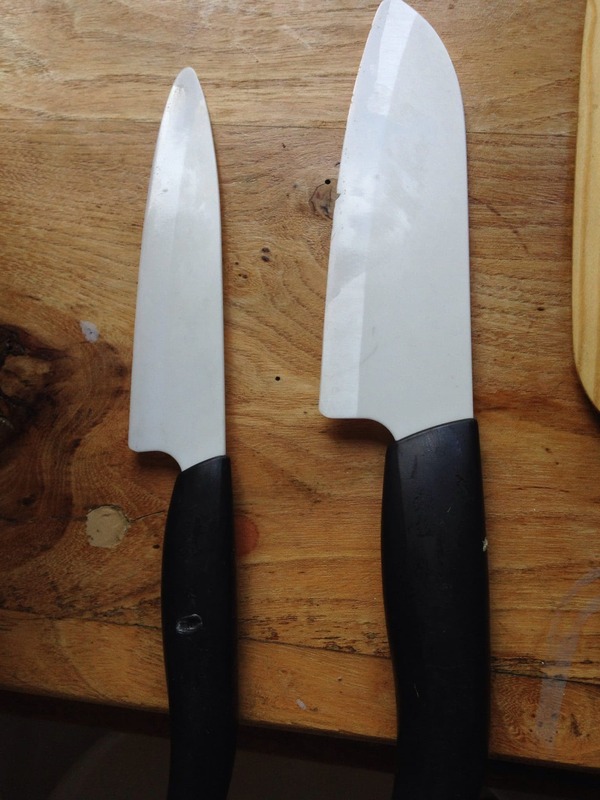 Instead, they’re simply comparable, although the forged construction helps the tips of the knives feel a bit sharper. As far as feel, balance, durability, and branding goes, however, these knives are a clear upgrade. They’re still quite affordable when you consider that you’re getting four high-quality Wusthof blades, a bag, a steel, and some accessories. Whether you’re looking at Victorinox or Mercer Culinary knives, it’s easy to find high-quality sets of professional tools that can carry you through culinary school and into the workplace. If you just want a cheap knife set with a bag, the Victorinox set offers a great blend of quality and price, the Mercer set offers lots of extras to help your culinary journeys, while the Wusthof set offers incredibly high-quality knives from a top brand. All three options will give you the tools you need to learn proper knife skills and work your first job or two in a professional kitchen. Chicago Cutlery Reviews: The Best Knife Sets On A Budget?